Two enterprising auto dealers in Florida managed to piss off residents across the state this week by parking their entire inventories inside parking garages opened for free to the public to aid residents impacted by Hurricane Irma. 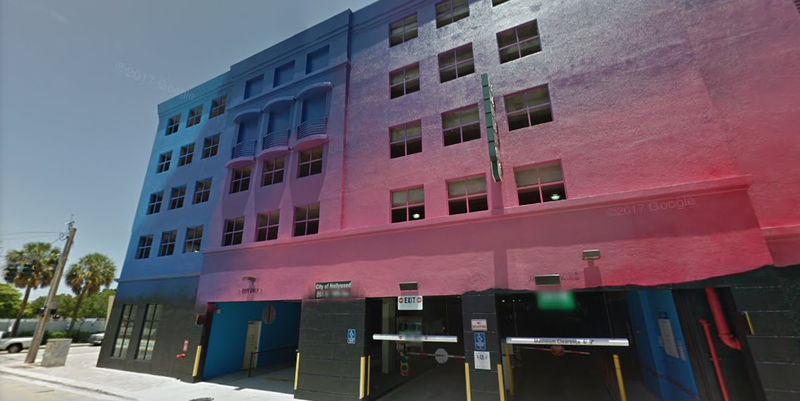 In southern Florida, the city of Hollywood decided to open the city’s three public parking garages for free to residents living in flood-prone areas, according to the Miami Herald. When residents showed up on Friday to park their cars and keep them out of harms way, they came across a garage “filled with cars with price tags and no license plates,” the Herald reports. “The lot was designated for residents as a last resort for those who live on the beach and other areas subject to a storm surge — not for a local car dealer, said Hollywood spokeswoman Raelin Storey. Every vehicle was ticketed, Storey told the newspaper, but as of Saturday, it wasn’t clear what dealership was at fault. Nearly 475 miles to the north in Tallahassee, Florida State University took similar measures and opened up garages to residents across the city to secure their car in a protected space. But just like in Hollywood, a local Infiniti dealer took over the free space, according to the Florida Flambeau. Tallahassee residents quickly mobilized to blast the dealer on social media, leaving scathing reviews on Google and Yelp to commemorate the unseemly deed. Unlike in Hollywood, Florida State University police were able to pinpoint the Napleton Infiniti auto dealer as the culprit. By late Sunday, the vehicles were moved, FSU police said on Twitter. The dealership had claimed it had permission to park the cars there, according to the Flambeau. Whether or not permission was granted, there’s other solutions that wouldn’t inhibit residents from having a chance to protect their cars. I mean, come on, look at what this Porsche dealership pulled off.